We took ’em to court””and we won! A federal court has found the FDA’s stance against vitamin health claims to be unconstitutional! On April 13, the United States District Court for the District of Columbia held that the FDA’s denial of two health claims””which dealt with the ability of antioxidant vitamins to reduce the risk of cancer””was unconstitutional under the First Amendment. ANH-USA, together with Durk Pearson and Sandy Shaw, sued the FDA for censoring antioxidant vitamin-cancer risk reduction claims after the agency denied multiple claims about the effectiveness of selenium and vitamins C and E in reducing cancer risk, and weakened and complicated other claims to the vanishing point. 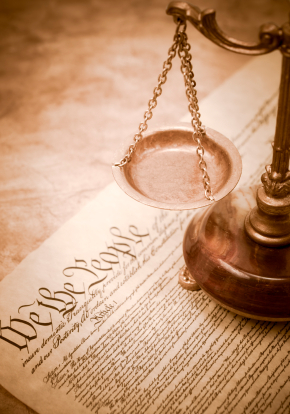 The plaintiffs were represented by Emord & Associates, a prominent constitutional law firm. You may recall that last October, Jonathan Emord successfully represented us against the FDA on the selenium claim. That win means that selenium supplements are now allowed to claim that “selenium may reduce the risk” of prostate, colon, bladder, or thyroid cancer. “Qualified health claims” characterize the relationship between a substance and its ability to reduce the risk of a disease or health-related condition. They are permitted in relation to foods and supplements””a precedent established by the landmark decision of Pearson v. Shalala. Qualified health claims are a critical means toward communicating important health benefits of natural foods and dietary supplements otherwise forbidden by the FDA. Unfortunately, the FDA has consistently limited the information available to consumers about the real health benefits of food and supplements and routinely rejects all qualified health claims. This should come as no surprise, given that the FDA has worked shoulder-to-shoulder with the European Commission for well over a decade agreeing on ridiculously onerous guidelines for scientific substantiation of health claims internationally in the Codex Alimentarius. These requirements have been carbon-copied into EU law and some time next year will ban thousands of claims that have informed European citizens for years. We must stop trans-Atlantic European regulatory creep at all costs, and our biggest defense remains our precious First Amendment. The court reaffirmed Pearson v. Shalala against the FDA’s objections, holding that “where the evidence supporting a claim is inconclusive, the First Amendment permits the claim to be made; the FDA cannot require a disclaimer that simply swallows the claim.” The FDA has been ordered to revise its claim qualifications consistent with the court’s decision. In a separate case, ANH-USA sued the FDA over good manufacturing practices (GMPs), operating requirements for dietary supplement manufacturers. Our concern has been that FDA is given authority to treat all GMP violations the same””which means that a paperwork violation carries the same penalties as selling food that harms the public: for both infractions, one is deemed to be selling “adulterated” products, with the same jail sentence. We said those regulations went beyond the statutory authority of the FDA to regulate dietary supplements””that they were unconstitutionally vague (in violation of the Fifth Amendment’s due process clause), arbitrary and capricious, and an abuse of the Administrative Procedure Act. The judge in our GMP case, unfortunately, gave deference to FDA and its authority to regulate. This is another reason why the language in the Leahy bill is so troubling: it raises the penalty for “adulterating” a product to ten years in jail. While we continue to make strides in the courtroom, the process is time-intensive, expensive, and””let’s face it””ridiculous. We should not have to sue the FDA to obtain the right to communicate every important piece of health-related information to consumers. We need to pass the Free Speech about Science Act, which was introduced in Congress earlier this month. The Act would allow for the communication of legitimate scientific information to a health-conscious public more easily. If you haven’t already done so, please contact your senators and representatives and tell them how important this bill is!